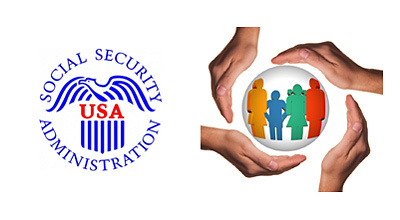 Social Security Disability Insurance (SSDI) is a federal program that pays you monthly benefits if you are insured under the program and become disabled before you reach retirement age and cannot work. Below is a short summary of the basic requirements for SSDI. In order to qualify for SSDI, you must first be insured for disability benefits on the date that you become disabled. 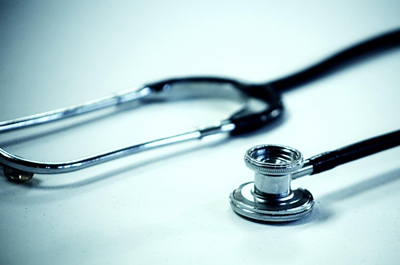 There is a two part test for determining whether you are insured. (2) Whether you worked recently enough for the work to actually count toward coverage (the “current work test”). SSDI credits are calculated based on your earnings, as long as the earnings were subject to Social Security payroll taxes (FICA) or Social Security self-employment taxes. The dollar amount it takes to earn one credit is calculated annually. For 2018, you must earn $1,320 to be awarded one work credit or $5,280 to earn the maximum allowed four credits. You can earn these four credits at any time during the year. You earn one at $1,320 of earnings, two at $2,640 of earnings, three at $3,960 of earnings, and four at $5,280 of earnings. You are not limited to earning one credit in each quarter of the year, as was required under previous rules. The number of work credits you need to qualify for disability benefits depends on your age when you become disabled. SSDI has established a sliding scale for the number of credits you must earn in order to be covered under the SSDI program. Based on the scale, the older you are at the time you become disabled, the more credits you must have earned for SSDI eligibility purposes. For the Non-blind, you must have earned at least 20 of the credits in the 10 years immediately before you became disabled. Again the test is somewhat complicated. The recent work test is based on your age when you became disabled. The SSDI rules then determine how much recent work you need to have based on the “calendar quarter” in which your birthday falls. The four quarters are defined as being from (1) January 1 through March 31; (2) April 1 through June 30; (3) July 1 through September 30; and (4) October 1 through December 31.
a. If you become disabled in or before the quarter you turn 24 years old, you generally need to have worked 1.5 of the past 3 years, ending with the quarter your disability began. b. If you became disabled in the quarter after you turned 24 but before the quarter you turned 31, then you need to have worked half of the time between the quarter when you turned 21 and the quarter when you became disabled. c. Lastly, if you become disabled in the quarter you turn 31 or older, you need to have worked five out of the last 10 years, ending with the quarter you became disabled. The disability application process can be difficult- invasive questions, complicated forms, and long waiting periods can make applying for benefits a hassle. Let us help. Contact the attorneys at Bemis, Roach and Reed for a free consultation. In addition to the work requirements, SSDI rules requires that you have a severe, long-term, total disability. To qualify for SSDI, your disability must be “total,” such that you are not able to perform “substantial gainful activity” (SGA) for at least one year. In 2017, if you are disabled but currently working and you make over $1,170/month, you are not considered disabled enough to qualify for SSDI benefits. Under SSDI rules, your disability must be “severe” enough to interfere with your ability to perform basic work-related activities, such as walking, sitting, and remembering. The medical condition must also be “long term,” in that: (1) it has already existed for 12 months; or (2) is expected to last for at least 12 months or result in your death. If your medical condition was not on the list of impairments, or did not meet or exceed the severity of conditions on the list, SSDI rules look at whether your medical condition prevents you from doing the work you did prior to developing the condition. If it does not, then you are not considered disabled “enough” for SSDI purposes. If you cannot do your prior work, step five is considered. If you cannot do your prior work, an evaluation is made as to whether you can perform any other kind of work. This evaluation considers your medical condition, your age, and your educational background, as well as any past work experiences or skills that you may have that could transfer to any other type of work. 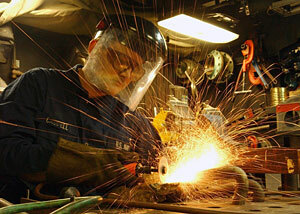 If you cannot do other work, you will be considered sufficiently disabled for SSDI purposes. 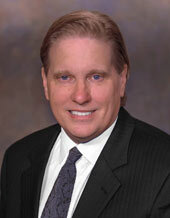 Partner Lloyd Bemis – Highly Experienced SSDI Attorney. The application process for SSDI benefits is complex. The Social Security Administration (SSA) estimates that it will take three to five months to process your initial application. Additional time will be involved if you are asked to provide further information once the review process has begun. The determination process is even longer if your initial application is denied, which happens frequently because only about one-third of initial SSDI applications are approved. An experienced Social Security Disability benefits attorney can make all the difference in whether you receive SSDI benefits to which you may be entitled. The attorneys at Bemis, Roach & Reed have been successfully representing SSDI applicants in Texas, Austin, San Antonio, Houston, and the Dallas/Fort Worth Metroplex area. If you need a qualified SSD benefits attorney in Texas, call us at (512) 454-4000 or contact us online. What are the qualifications for receiving SSDI?